You need to dig very little to understand what a ‘whole life insurance’ is. After all, the name of the policy isself-explanatory. Unlike a term policy, here you are insured for your whole life.Added to that, it hasmany other benefits as well. A term insurance, as the name suggests, pays money to the family of the deceased only when a death occurs during a specified period of time whereas a whole life policy gives protection to a bereaved family, regardless when the insured dies. The policy not only provides cover for a family in case of an untimely death of the insured, but also has several value added benefits. Whether is it a home loan or a child’s education, or for that matter any other such necessities, you canutilize tax deferred cash values which accumulate through policy loans. The death benefit which accrues is totally free of tax plus it gives financial flexibility in accordance to your changing needs. All you have to ensure is that the premiums are paid on a regular basis, leaving no gap. If that is taken care of, then your policy will never be cancelled. 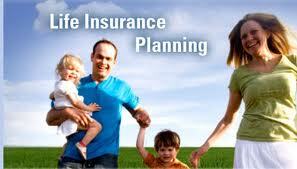 You can be rest assured that the policy will be there for your entire life, forever. It ensures that on no count, your premium shall increase. Which other policy can assure you that? 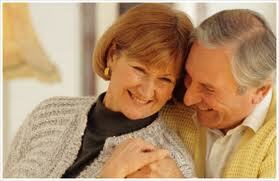 Thispolicy provides cash values in the form of money which accumulate in your whole life policy. This will never be stationary and on the other hand it grows considerably, particularly because the taxes are deferred irrespective of money’s growth. It does not stop with enriching your cash values. It goes further ahead and allows you to earn dividend as a participating policy owner. This dividend, in turn, can be used to purchase additional policy coverage and repayment of policy loans. In view of the benefits that the policy provides you, it can really be called as the Policy for all seasons and Policy for all reasons. So much so, it helps protect the interests of business men too. It covers against the loss of key employees and even for funding buy-sell agreements. Also, trust me, even if you want the business to continue to the eternity, this policyensures that by all means. In short, it is the most versatile of all policies. No insurance company will be ready to offer protection for an individual who has crossed the age of 60 as the chances of mortality tend to grow with age. The whole lifepolicy though, is never driven or bogged down by such types of presumptive hunches. It gives a complete protection till the age of 99 and more importantlyit does so with less premium value and other benefits equivalent to investment. Whole life insurance policy offers great recompenses even when you are alive and benefits your family even at times of uncertainties. It is a lifetime investment for you and also for your loved ones later on!